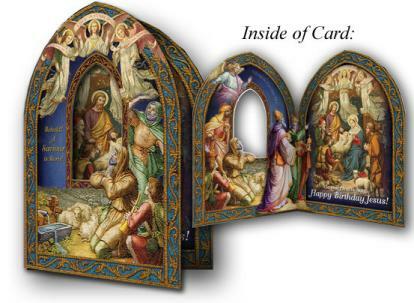 The shepherds on the outside of the card are able to see the Holy Family through the cut out window. 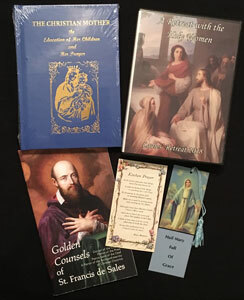 Open the door, and the shepherds are joined by the wise men. Full Color inside and out! Very beautiful!